with the use of Geonics EM-31, EM-38, EM-61, EM-34, and data loggers. Geonics Training .com is intended to assist people with electromagnetic geophysical surveys and is not a definitive guide. While any discussion about theory or application is intended to apply to most manufactures of electromagnetic geophysical instrumentation, this site focuses on the EM31, EM38, EM61, EM34, their data loggers and accessories that are manufactured by or for use with Geonics instruments. 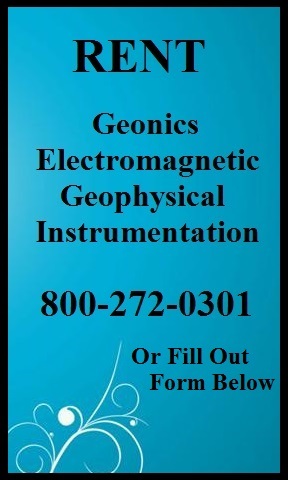 Geonics is in the business of providing electromagnetic geophysical equipment to customers throughout the world. The team at GeonicsTraining.com would like to express its appreciation to Geonics (leaders in electromagnetic instrumentation) for providing access to their products’ technical information, providing presentation materials, and permission to use this material. Thank you. GeonicsTraining.com is an independent website and is neither affiliated nor represents Geonics in any manner. Equipment used in the Geonics training lessons can be rented from K. D. Jones Instruments. Electromagnetic surveying is a profession. 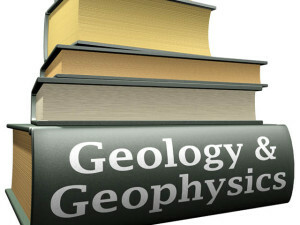 Geonics Training .com is not a replacement for the user manuals, common sense, experience, or for the education necessary to conduct successful electromagnetic geophysical surveys. A background in physics, geology, geophysics, engineering, and/or mathematics benefits survey designers and operators. A wide selection of books and reading material is available by searching the internet. A good place to start is Geonics.com. Because there is always the potential for misinformation, it is highly recommended that one goes through all procedures at the office or home base before going to a project. It is very important to experiment with the equipment over known conditions, to understand how the equipment operates and responds. and allows people to monitor their progress through the course and lessons real time. Thus, it is best to click on links and tabs that navigate to the next page. Using the back arrow on the browser often shows old pages. Note: When navigating through this site you may need to reload pages, if you use the back arrow key of your browser. As with any web site that monitors real time progress, using the back arrow key will show the user the page in its previous state, not in its current state. This is not a concern if a user clicks on tabs or links that take the user to the next page or reloads a page that was previously visited. In addition and as noted on each page, a user needs to click on the blue start vibration monitoring course or lesson button to access the lessons. Are you interested in equipment training? Why won’t my EM61 files open on the DAT61MK2 program? What is the difference between the EM31 and EM38? When performing the Static Background Test, why does the EM61 response vary so much? Why won’t my EM-31 files open on the DAT31 program? What is the maximum exploration depth of Geonics equipment? Site Restricted. Only those who accept the terms are allowed access.